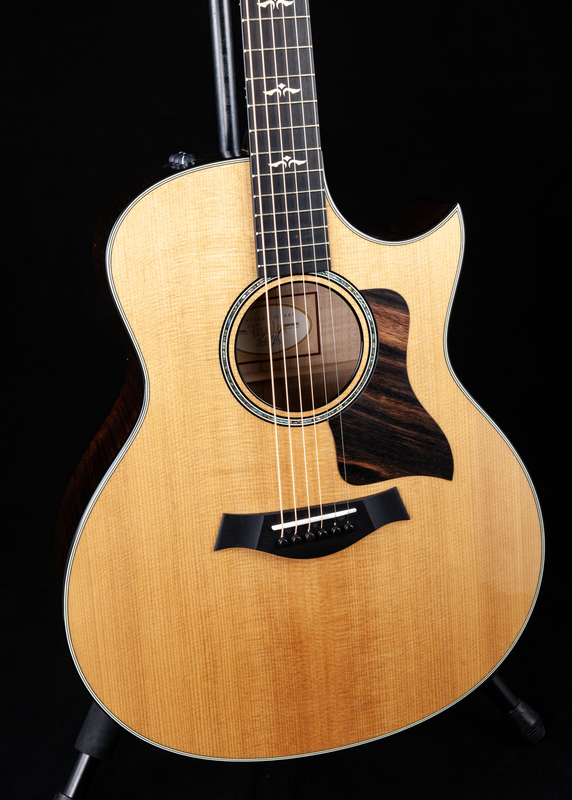 Taylor’s Grand Symphony shape yields a beefy acoustic sound with extra low-end horsepower. Coupled with the package of tone-enhancing strokes brought to the maple/spruce 600 Series, players can expect impressive richness, volume and sustain. Design nuances include a back bracing profile that’s optimized for maple and a special seasoning process for the spruce top called torrefaction to produce an aged tonal character with greater acoustic resonance and responsiveness. Protein glues and an ultra-thin gloss finish minimize tonal dampening. 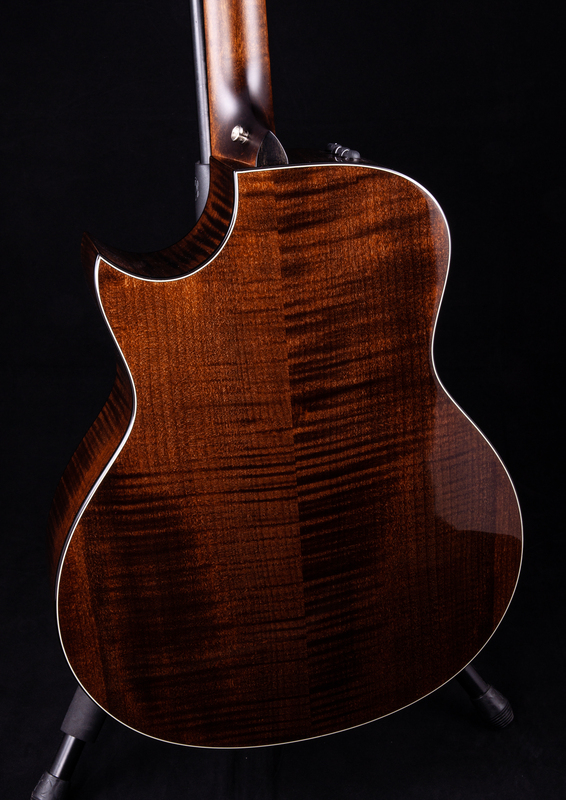 A hand-rubbed “Brown Sugar” stain on the back and sides gives maple’s striking figure a beautiful violin-hued appearance without adding extra thickness to the finish. Featured appointments include grained ivoroid Wings fretboard inlays, an inlaid ebony backstrap, ebony binding with ivoroid purfling, an ebony/ivoroid rosette, and a striped ebony pickguard, along with Taylor’s Expression System® 2 acoustic electronics. The guitar features a Florentine cutaway and comes with a deluxe hardshell case.